Learn 15 tactics to manage your most valuable asset in internet marketing. 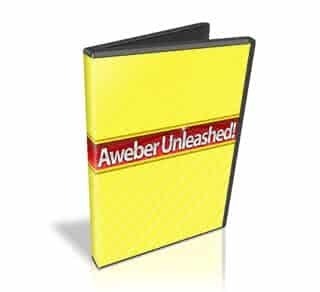 Discover aweber unleashed and use this amazing service to its fullest extent. If you are an Aweber subscriber, it’s DOUBTFUL you are using this service to its FULLEST Extent…Learn How here!! Get access to this set of fantastic tutorial videos NOW! Every person who makes a living online will tell you that when It comes to making money in internet marketing your greatest asset is YOUR LIST! But almost as valuable as your list is YOUR TIME! That’s why I was thrilled this week when I added 356 people to one list, 274 to another, transferred 8 from one list to another, and sent 4 emails to a combined 3,125 people all in one day without ever logging into my Aweber account! You see, Aweber is the undisputed, most powerful auto responder available to serious marketers. Yet most who pay their monthly fee for this service either let their account sit and collect “Virtual Dust” (thinking that some day it will magically spring into action and build a massive list for them) or they use only the very basic services and never take full advantage of this simple yet incredibly powerful tool! So I have put together a series of 14 detailed videos that will show you how to UNLEASH the full abilities of Aweber! I start with the basics…. All the tips and tricks you will need to create your own opt-in forms. Too much info to cover in one video so I had to add another! Lots of information including a HUGE time saver! Time to send out your message to everyone! Some real “Gotcha’s” here to watch out for! Your automated follow-up system! Set it up wrong and you will have problems! The method I use in organizing my many lists! 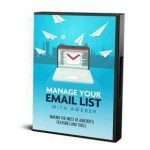 How to set up Aweber to do most of the adding and deleting from different lists automatically! Don’t you HATE getting the same message over and over again from a marketer? Here’s how to avoid doing that yourself! How do you know if your marketing is effective? Here’s how! Which subject line, ad, or email got the best results? Here’s how to set it up! Imagine each blog entry you make automatically gets sent to your list. Here’s how! 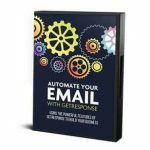 Want to copy all of your follow up emails to another list of yours or to someone else? Here’s how! I was sure to forget a couple of things. So here they are! Since I made the original set of videos, Aweber has released their NEW analytics features I cover the basics of these new features!